Our food and literacy curriculum begins in the 1st grade with Spoons Food Explorers. Children explore a variety of fresh, healthy foods using all their senses: sight, smell, touch, hearing, and of course taste! Spoons Across America’s core curriculum begins in the 1st grade with Spoons Food Explorers. 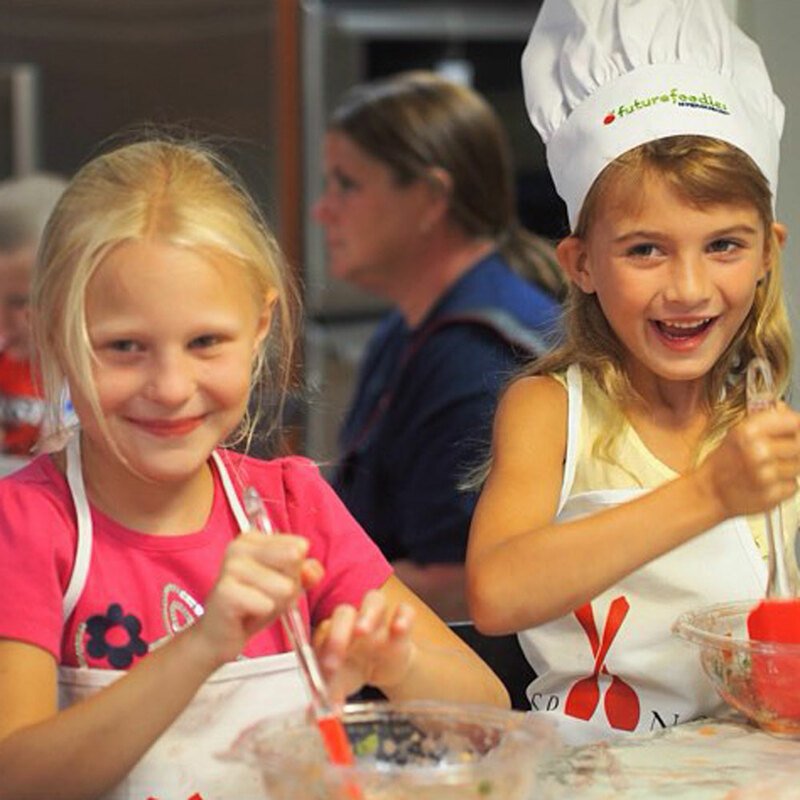 In this 2 session program, children are introduced to the fresh, healthy ingredients in a simple recipe, and actively explore these foods using all of their senses: sight, smell, touch, hearing, and of course taste! Children fill out their “Food Passports” as they follow a “sensory map” on their healthy food adventure. In session two, children revisit some of the ingredients they encountered in the previous session as they make and enjoy a simple and healthy recipe. Children take home a family newsletter including informtion about the program, related activites, and a recipe for the dish they created in the session. In both sessions children have the opportunity to smell, taste, and talk about new and unfamiliar foods: inspiring them to develop curiosity about taste. Each session includes a tasting component as well as an additional hands-on activities that connects to current Common Core Learning Standards. My daughter Lily blossomed at your program, when she tasted all the components of salad dressing and made her own salad. Prior to your program, I would not have believed she would experiment at this level, let alone eat salad. Her “no no no” attitude opened up, and she started to taste and explore more healthy foods.